This year I am co-hosting the Deakin Anthropology Seminar Series with my friend and colleague David Giles. David and I are both podcast listeners, and have some rudimentary skills in audio engineering, so we thought we’d try our hands at producing some conversations with the seminar series speakers about their research, how they got into Anthropology, and whatever else feels interesting and relevant. There are a few (more cleanly produced) podcasts around in this vein, such as Cultures of Energy and AnthroPod. Keen to hear what peoples’ impressions are – our production quality is about to take a giant leap as David has located some new recording infrastructure for us! You can listen to the podcast on Soundcloud or on iTunes. Also: our theme song is from an unreleased song called ‘Shout to Deer’ by Brand New Math, an Auckland band lead by Bradley Fafejta that I was in during the late ’00s. Thanks to Bradley for letting us use the tune. Recently, my colleague Eve Vincent and I wrote an explainer piece for The Conversation about ‘green-black alliances’ in Australia. As many times before, while putting together that piece Eve and I debated over the details of Indigenous land rights in Australia (meaning, specifically, only those land rights recognised within settler legal regimes, not land rights as they exist in Indigenous law) and their social and legal context. This is not only a question of ‘how much do [non-indigenous readers] need to know?’ but also ‘how much will [non-indigenous readers] tolerate?’ On plenty of occasions, people have demonstrated to me in Australia and Aotearoa that, even when their initial interest is genuine and enthusiastic, their actual capacity to take in information about Indigenous land rights is brief, limited, or short-lived. Over and again, casual conversations where I’ve tried to explain the native title ‘right to negotiate’ have moved from engaged interest to borderline narcolepsy. I’ve varied my approach but the results are pretty consistent. Unsurprisingly, editors have told me on several occasions that this is exactly the material to cut from written work. Pedagogy: I’ve never encountered a non-indigenous person, let alone a 1st-year university student, who had gained any knowledge of the basic tenets and features of native title (or similar forms of recognised land rights) from their pre-tertiary schooling. This is not to say that writing such information into national curriculums would be a fix (see: Aotearoa), but that it would help establish pathways of interest in it and the wider expectation that one ‘should’ know about it. Complexity as tactic: this is nothing new to the critical legal scholars out there (or readers of James Ferguson, Tania Murray Li etc. ), but it is clear in this instance – as in many others – that the complexity of native title (or similar forms) serves the purposes of settler administrators and settler power. Its technicality and jargon create both forbidding barriers to critical engagement while, conveniently, depoliticising its processes and features. It has been designed and developed to appear as both a form of reparation (it’s not!) and a neutral system of administration (‘the way things are’), attended by networks of well-paid experts inside and outside government. In sum, this permits, or at least creates the conditions for, any number of the absurdities of the present situation. The list of absurdities includes the misconceived notion, demonstrated in the present dispute over Adani’s planned Carmichael coal mine, that native title in any way jeopardises mining investment in Australia. This is an old and reliable line developed and utilised by Labor and Liberals alike. In the 1990s, mining executive decried native title as ‘the biggest disaster for [mining] investment that has ever been visited upon us in this country’. However, as Lavelle showed (see: Lavelle, Ashley. 2001. “The Mining Industry’s Campaign Against Native Title.” Australian Journal of Political Science 36 (1):101-122) investment in mining ventures did not abate before or after the Mabo and Wik decisions. This is, in part, due to the ‘pincer’ publicity strategy by the mining industry in the 1990s and after, representing native title as a mighty legal right, and thereby a terrible burden on business and productivity, while also representing themselves as singular benefactors (or ‘partners’, philanthropists, etc.) to Indigenous peoples. Governments, including the Turnbull administration, have been happy enough to go along with this story, further weakening Indigenous land rights anytime they become inconvenient. But, fundamentally, behind the blather about ‘market uncertainty’, the facts are that a) native title holders cannot legally say ‘no’ to resource extraction from their country (they should be able to, though, obviously), and b) there is little good evidence that mining is financially beneficial to native title holders overall. This argument, and much more besides, in laid out in David Ritter’s excellent 2009 book Contesting Native Title. However, the continuing level of disinterest and ignorance about the legalities of Indigenous land rights in Australia makes me think that we need more people – academics, journalists, activists – writing accounts of those rights that are once critical, grounded, straight-forward and compelling. In Australia and across the world, Indigenous people are resisting developments that threaten their lands. Wangan and Jagalingou people stand in opposition to the planned Carmichael coalmine in Queensland, while the Sioux people are holding firm in their struggle against the Dakota Access Pipeline at Standing Rock. As these contests intensify, they reveal that Indigenous peoples often have limited say over what happens on their country. When pitted against powerful state and corporate actors, Indigenous people may seek assistance from others, such as environmentalists, to protect their interests and further their aspirations. In Australia, these arrangements have sometimes been called “green-black alliances”. However, as we argue in our new book Unstable Relations, it is misleading to contend that Indigenous people and environmentalists necessarily share (or don’t share) the same ends and motives. The rest is available through the link above. 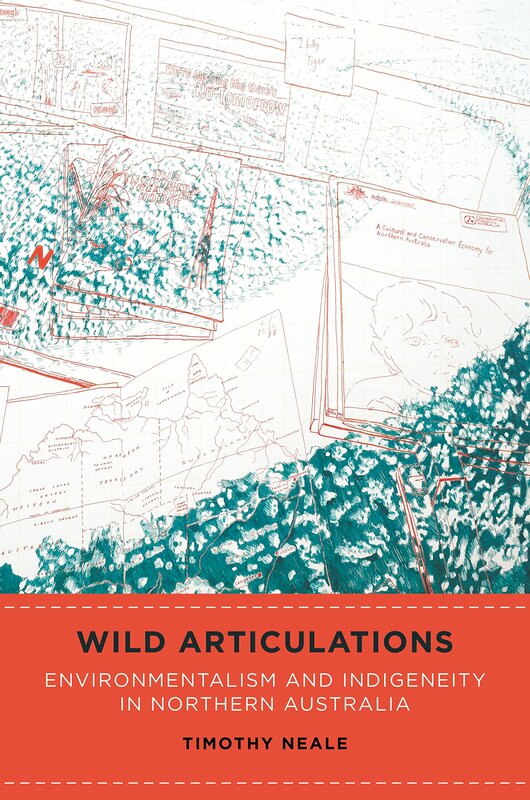 My upcoming book – Wild Articulations: Environmentalism and Indigeneity in Northern Australia – has a cover (!) and will be out in hardcover on 31 July. I am hoping I can beg and browbeat enough libraries and book stores to get copies that it will also move to paperback. Lastly, I have been meaning to post a link to the first academic paper to come out of the research I did in Greater Darwin over 2015-2016. The paper – which addresses natural hazards practitioners’ accounts of the diverse drivers of bushfire risk in that region – sits somewhere between analyses of policy and practice and the more critical cultural analyses regarding ‘our flammable futures’ which I am developing now. Two propositions to start: there is a significant parallel (or companionship) between settlers and weeds; and, there is also a significant parallel (or companionship) between the structures of settler colonialism and those of weed ecology. These are the propositions that I want to work through in what follows, propositions that draw upon both the significant existing body of work by Indigenous and non-indigenous historians, anthropologists and others on the ways in which nonhuman actors have been mobilised within projects of settler colonial territorialization, and more recent work, including my own, in settler colonial nations such Australia and Aotearoa New Zealand where exotic nonhuman species dominate many landscapes. You can read more here. (Also, huge thanks to the editors for publishing [and editing!] this piece). Recently I flew to Barcelona to attend the 4S/EASST Conference, an event that occurs every four years where the European Association for Science and Technology Studies (EASST) and the Society for Social Studies of Science (4S) get together for panel sessions, keynotes, networking and all the other things associated with conferences. It was my first time at purely academic mega-conference (i.e. something over ~1,000 people), let alone focused on STS. What follows are some of my impressions of what I saw and heard, admittedly based on a very poor sample of perhaps 16 tracks and 3 keynotes out of the total 185 tracks and 5 keynotes; not a ‘representative sample’ as the peer reviewers might say. So, what’s hot and cold in the world of STS? Here are some keywords that I noticed circulating across the program and the presentations I saw: elements and the elemental (see: John Durham Peters’ ‘Marvellous Clouds’ but, more frequently, ‘Elemental Ecocriticism’ edited by Cohen and Duckert), chemicals or the toxic, infrastructures (meaning the built environment but also, in other cases, everything material), embodiment (emergent Deleuzian bodies, but often not with explicit Deleuzian names), aftermath and alterlife, Anthropocene (but with a little trepidation or doubt), anticipation and futurity, evil (see: the [great] ‘Infrastructures of Evil’ panel), life and liveliness, worlds and worlding (see: Anna Tsing, ‘The Mushroom at the End of the World’; Isabelle Stengers), and thinking ‘with and against’ problematic actors. 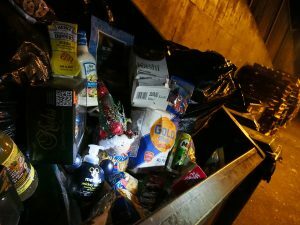 Whereas here is a list of terms and rhetorical techniques that have an ‘ideological’ status, in the sense that their circulation and use are both dominant and comparatively under-discussed: participation, trouble and troubling (both as verbs), using objects as organizing metaphors (i.e. infrastructure, element, virus/bacteria, a given nonhuman actor), the use of art objects as argument or data, ethnography (meanings vary widely), governance, actors, networks, and assemblages (pace Latour, Stengers et al.). While the researchers that I saw were focused on many concerns, health research and its various related fields were the number one. Health took researchers to chemicals and their effects (from PCBs to cancer medications), it took them to bodies from the protozoic to the planetary (exposed, affected, affecting), it took them to ethics (of medical practices and, more generally, care for and with others), it took them to environments (in as much networks of health professionals are always concerned with bodies and bodies are always bodies-in-places). The other key objects would be economics, infrastructures (of: energy production, computing, software, education, and more), food (systems of production, consumption etc.) and, if I had to name one more, maybe art. If health was the dominant concern then ‘relation’ is the dominant condition, but whereas it seems that there was a recent moment when relation was (choose your term) radical / disruptive / resistant /non-hegemonic / anti-essential in relation to power… now many people are not so sure that relation is such a good thing. To briefly sketch three effects of this uncertainty: 1) as at most conferences I have attended (across cultural studies, anthropology and geography), there was a fair amount of work which was positioned as ‘talking back’ to binaries, troubling tidy logics, or disturbing modernist abstractions. In many cases, here, this formed the basis of a presenter’s politics or contribution, sometimes gesturing to other ways of composing the common / economy / intimacy / space in more equitable ways, occasionally by pointing to non-dominant actors who need to be heard. So, 2) there was little explicit Deleuze / Bergson / vitalism in the words people said, but many implied and sublimated D-isms in their arguments. But, 3) besides critiques of neoliberal economics and their effects on given worlds, academic and otherwise, there was little explicit politics on show (one of the groups keynotes and Stengers’ keynote being exceptions). That is not to say that people did not make strong arguments but that their political grounding or stakes were sometime hard to actually name. For me this was summed up in the (excellent) presentation by Nootje Marres on the Volkwagen ‘defeat device‘. As Marres put it, she wanted to ask: can we say a technology is ‘evil,’ when one of the tenets of STS is that technologies are ambivalent? [Sidenote: I feel like there’s a link to made here to influential work like Tsing’s, noted above, which is worthy of a much longer discussion. Take, for example, Jedediah Purdy’s critique of Tsing’s most recent book (here), and the ‘egalitarian, anti-systematic pluralism’ that he associates with a related stream of scholarship. Faced with a need to ‘support a new view of humanity’ on a polluted and possibly doomed planet, many of the influential arguments provided can be summarised (far too briefly and with a lot of unwarranted rewording) as framing existence as vulnerability, relation, and co-becoming and, as an ethical claim, calling for the cultivation of ‘more careful’ or better vulnerabilities, relations, and co-becomings. But is this program politically convincing? Is ‘making kin’ (via Haraway) with others (if that’s what we [and they!] want to do) going to win over our opponents or stop our destruction? There is probably also a link to be drawn here to the name checks I did hear in peoples’ papers, which were often not philosophers but rather STS scholars or anthropologist-philosophers, including, but not limited to Beth Povinelli, Marisol de la Cadena, and Eduardo Viveiros de Castro; these authors’ phrases provided navigating points within poetic descriptions of technical phenomena. (I should say that, to be clear, my take on the conference is no doubt heavily shaped by my own interests and the types of papers I sought to see. If the above sounds like criticism, then it is one directed at myself and my own research also, and the questions that are occupying me and directing my reading)]. One of the more creative conference rooms. Feminist STS was reasonably well-represented at the conference. Notably, there were a number of panels that focused specifically on Feminist STS, amongst which I heard some frustration about the current articulation of gender and science. One striking conversation occurred during a panel discussing Banu Subramamiam’s Fleck Prize-winning Ghost Stories for Darwin, featuring Subramamiam, Jenny Reardon, Stefan Helmreich, and Evelynn Hammonds (shout out to Subramamiam for some very funny and direct responses to the panel and audience’s questions). Fairly deep into the panel, Hammonds reflected on the many annual ‘women in science’ events that she is invited to. They’re very pleasant, Hammond said, but no one at them (or promoting them) seems to identify as ‘feminist’. This is odd, she continued, because no one at ‘women in science’ events can say why there are ‘women in science’ events in the first place. The conference was an excellent event and I look forward to future iterations, as well as the Asia-Pacific Science, Technology and Society Network (APSTSN) conference next year in Melbourne. In closing, if you have a question or difference of opinion on a matter of fact (or interpretation!) please let me know – these are just some thoughts assembled from my notes across four days running in and out of conference rooms, charged with syrupy conference coffee (and without wifi). Over the past six months or so I have been the chair of the seminar committee at WSU’s Institute for Culture & Society. As an Early Career Researcher (or ECR), it’s been an instructive professional experience in managing priorities and logistics. Just like a conference, those organising a seminar series have to think about not only what interests them, and what sits well with the given institution, but also what is going to be possible (given budgets and schedules) and how to distribute opportunities. Seminars can be great places to test out ideas and get feedback, but, at the same time, many academics are reluctant to speak amongst close peers or about work-in-progress (just as some audiences are reluctant to listen to work that’s been published already). I’m starting a new position soon at Deakin University (more to come at a later date), so unfortunately I will not get to see out the program, but I’m proud of where it has ended up. We’ve managed to nab a fair number of visitors to Sydney (Emma Kowal, Jenny Pickerill and Celine Granjou) as well as inaugurate the ‘Thinking in Common’ panels (where several people with different fields/disciplines present thinking about a given ‘it’ term) thought up by my ICS colleague Gay Hawkins. In May, we staged a panel on ‘anticipation‘ with myself, Catherine Phillips, Chris Vasantkumar and Juan Francisco Salazar. Some of the work I discussed has recently been published in a paper in Environment & Planning A, titled ‘Burning Anticipation‘.